Things are getting chilly around the farmhouse in the evenings and my thoughts are turning toward making things cozy for wintertime. We have gotten out the space heaters, extra blankets, and warm jammies. And we will need them because this old house doesn’t have any heat upstairs. The electric windmills that go on when it gets in the thirties to keep the oranges from freezing are already coming on at night! The other day I recieved a box of goodies in the mail from the Plaid Company. 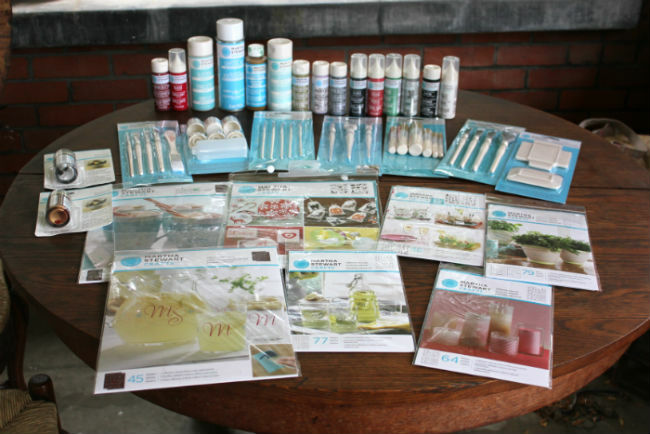 It was a box of Martha Stewart Paint supplies, just in time for my holiday crafting. It felt like Christmas had come early ! 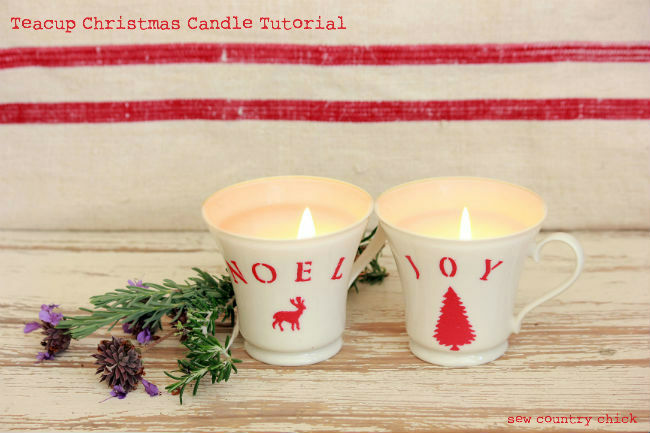 I made some Christmas candles from two old plain teacups, some Martha Stewart stencils, glass paint, and two candles from the dollar store. 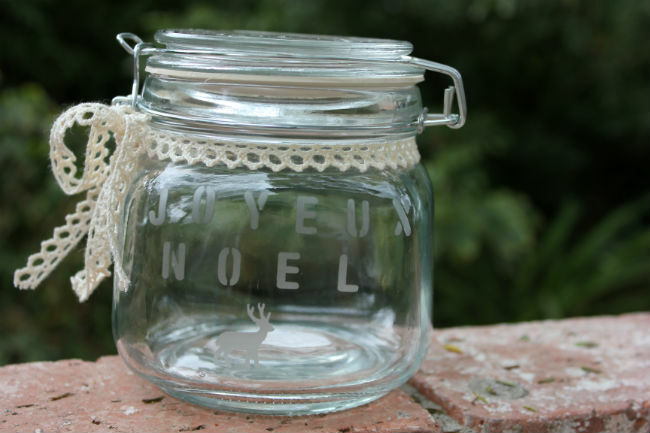 I also made a goodie canister using the glass etching cream with the stencils. It looks very pretty in person but I had a hard time capturing the etching detail in my photo. 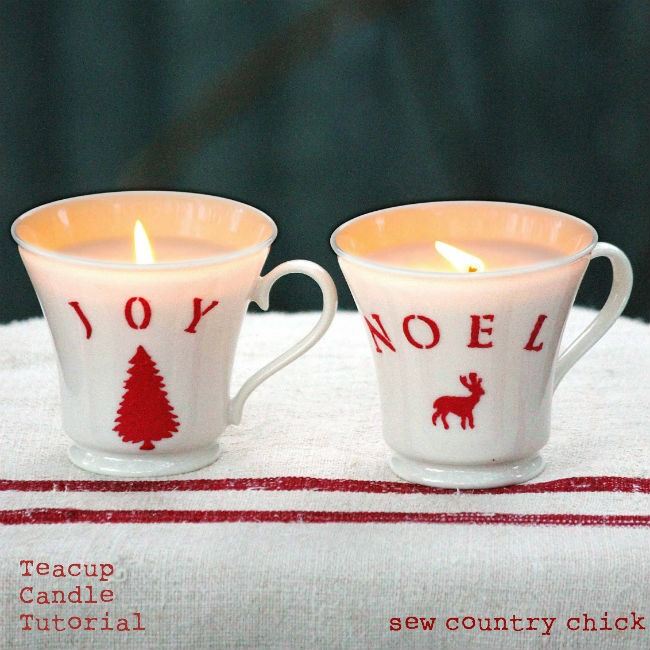 Now am going to show you how I made the teacup candles. I had some teacups from the thrift shop that I thought would be pretty with some red accents. 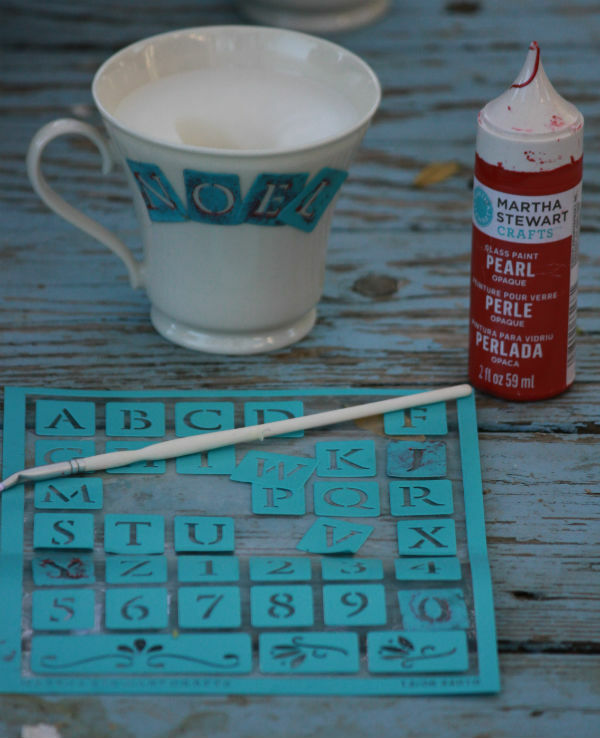 I decided to stencil the cups and use some Martha Stewart glass paint in Pearl red. I bought two candles at the dollar store to melt down in recycle into my teacup candles. Candle making supplies at the hobby store are expensive and this way I have the wick also. I pulled the wicks out of the candles to use later. Then I melted the candles on the stove. 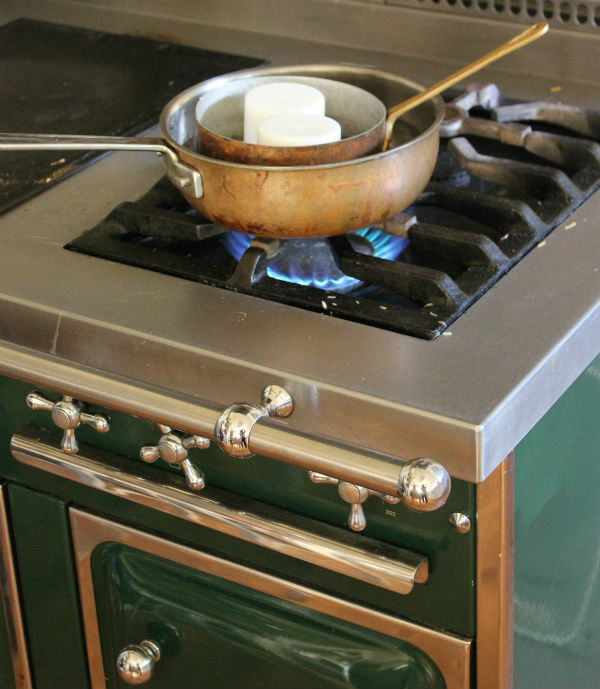 Do you like my forest green stove? 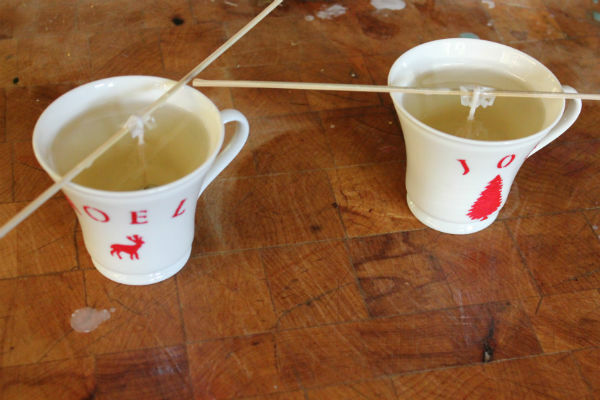 I attached the wicks to some sticks so the would stay in the center of the cups while I poured in the melted wax. See more projects from the Blueprint campaign below! These candles are adorable.. Sounds like a lot of fun to make too..
CHristmas is right around the corner. And what fun to make all the decorations… Have fun. These are really cute Justine!! These are very cute! 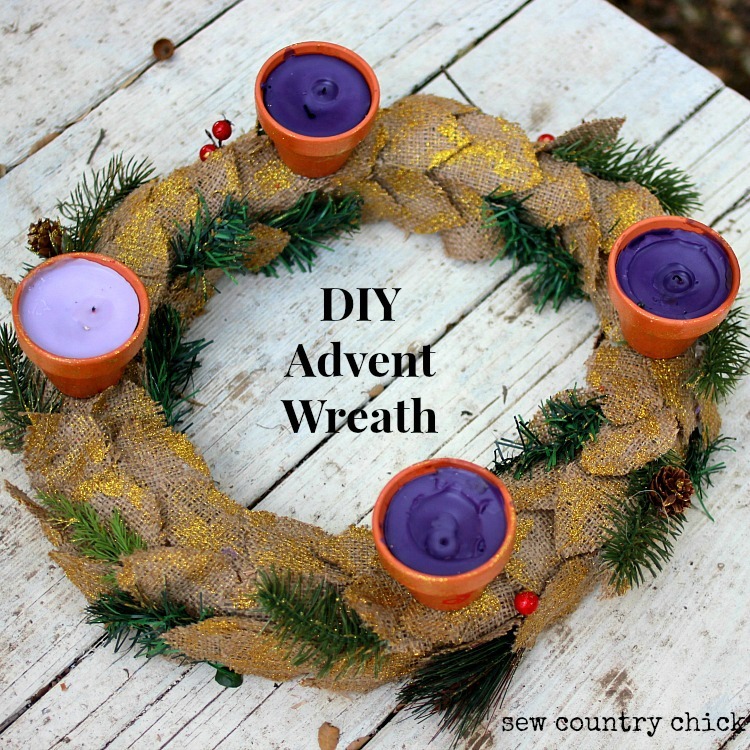 I never thought about melting down candles- great idea! 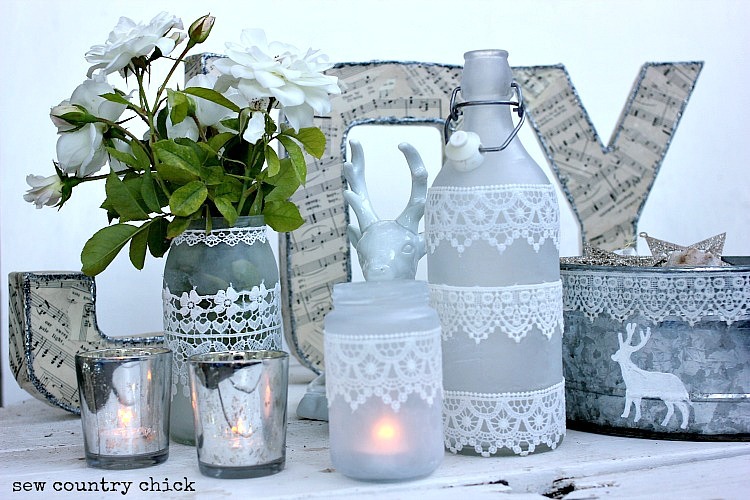 I love your teacup candles and I’m shining the spotlight on you with a special Friday feature! Love your Candle teacups!! Adorable idea. I love the stenciled tea cups. 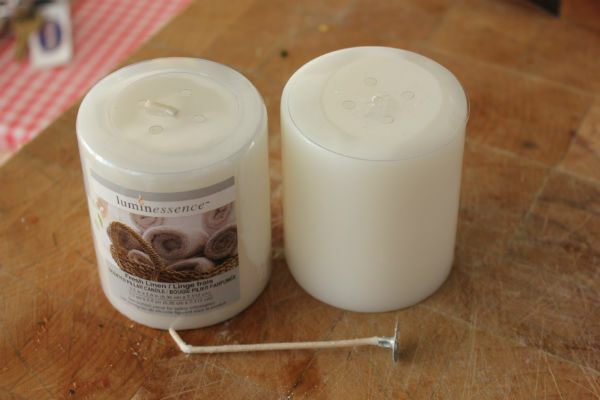 My candle making supplies did not make it overseas with us and I miss it. Candles are such a nice present to give especially during the holidays. What a terrific idea! Thanks for sharing it with us. Lucky girl, I wish Plaid would send me a box of goodies. . .lol! Have a wonderful Thanksgiving! These are adorable and make great gifts too! So very cute! And I never would have thought to melt down candles that way. Thanks for the tip! What a great idea! These are adorable, love your teacup design. Brilliant Justine! Love, love, love it! You are a masterful crafter! Sending you love from your childhood friend, Olga. This looks like a fun and easy job to do. 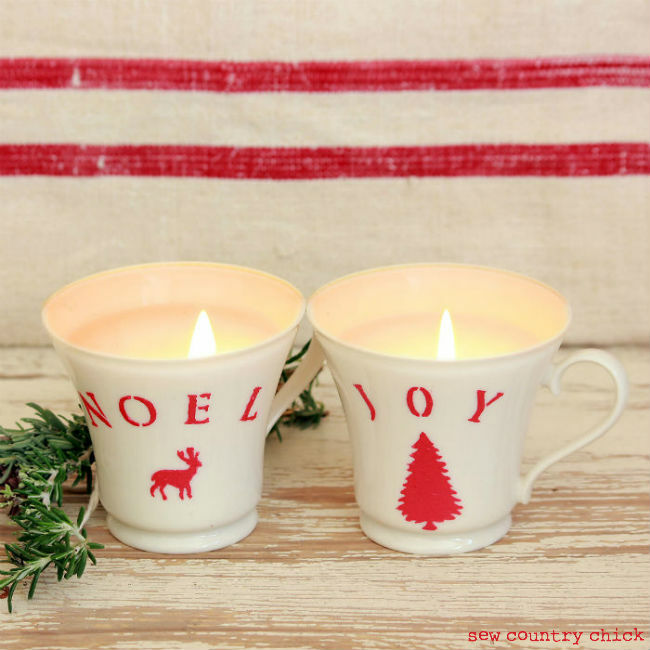 These teacup ideas will definitely be great for Christmas. You did a great job! Keep up the good work!